Ohioans For Concealed Carry Discussion Forums • View topic - 9x19 and dillon woes :-). 9x19 and dillon woes :-). I have been playing with an XD Mod.2 9x19 pistol and powder coated Lee 356-125 2R bullets. Accuracy in early testing with Sport Pistol powder has been dismal. 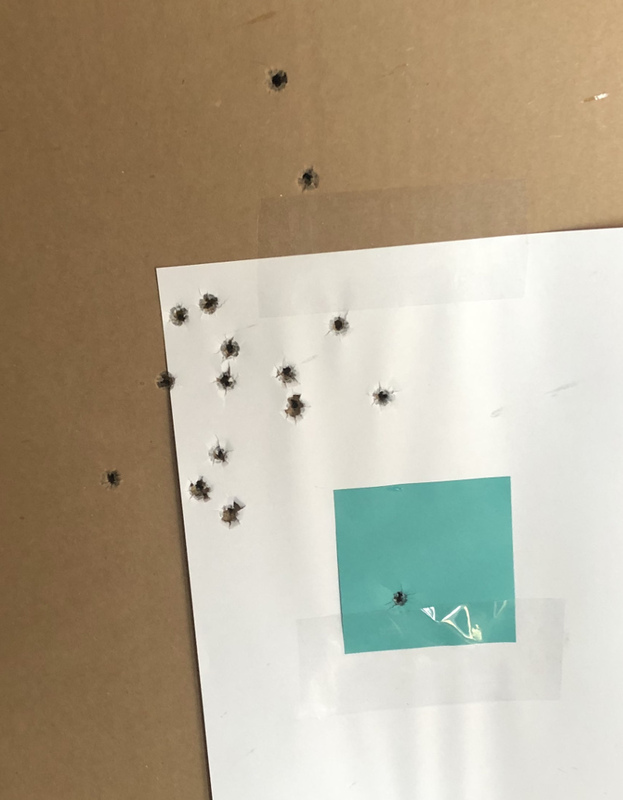 Bullets as cast and PC were running .357 and loaded seemed to plunk and spin ok. Actually had one bullet keyhole at 25 yards and saw some evidence of leading. I ordered a .356 Lee push through sizer and decided to try a few Berry 125 grain round nose. Noticed some nose damage from seating, hmm. Shot 15 rounds that I had loaded,,,,,yuck. Got to looking at the Dillon 9mm powder funnel (which is an F) and noticed that it is not going as deep into the case as the bullet base does. Pulled a bullet from a loaded round...wow the cases are sizing the base band of the bullet to .352...the whole body of the bullet after seating only measures .354. So....time to make a custom dillon powder funnel that leaves about .002" neck tension and goes deep enough into the case to not have the cases swage my bullet bases smaller. Re: 9x19 and dillon woes :-). Does the funnel expand the case? Not familiar with Dillon presses. I use the Lee dies and had to adjust the sizing / powder die to flair just enough the set the bullet. Yes Dillon calls it a "powder funnel", looks like this. I drew some stuff up in autocad to compare how deep the dillon expander (powder funnel) is going and the depth is not the issue, the issue is the diameter. Dillon expander is only .352 which leaves an expanded case mouth only .351", ideal would be about .3534" at maximum for a .356 bullet. Typically if you push a brass case into a die it will expand about .0016 when you pull it back out, if you push in or pull through an expand, it will spring back shut about the same .0016...roughly . If the case mouth is too small it will size cast bullets right down, which I am seeing here. Played around a little more today. I full length resized and decapped my brass then wet tumbled so I do not need to FL size these cases in the progressive. So I put a 38 caliber M die in station 1 and ran them over the M die, then used the Dillon powder through expansion die to flare and charge the cases. Only bullets I had on hand were some I had double powder coated, so pushed them through a Lee .356 push thru sizer, it left them .3555, seated one and pulled it, still .3555. Shooting showed that we are closer but not "there" yet. Looks like maybe a touch of leading in the grooves but the lands are shiny and bright . Ran another batch through Powder Coat and will try them unsized....will confirm but last time I measured them cast and PC they ended up about .357. Dillon presses do expand the case when adding the powder. Like Dillon dies but have a Hornady press myself. Always have to pick up an expander die to go with the Dillon dies. 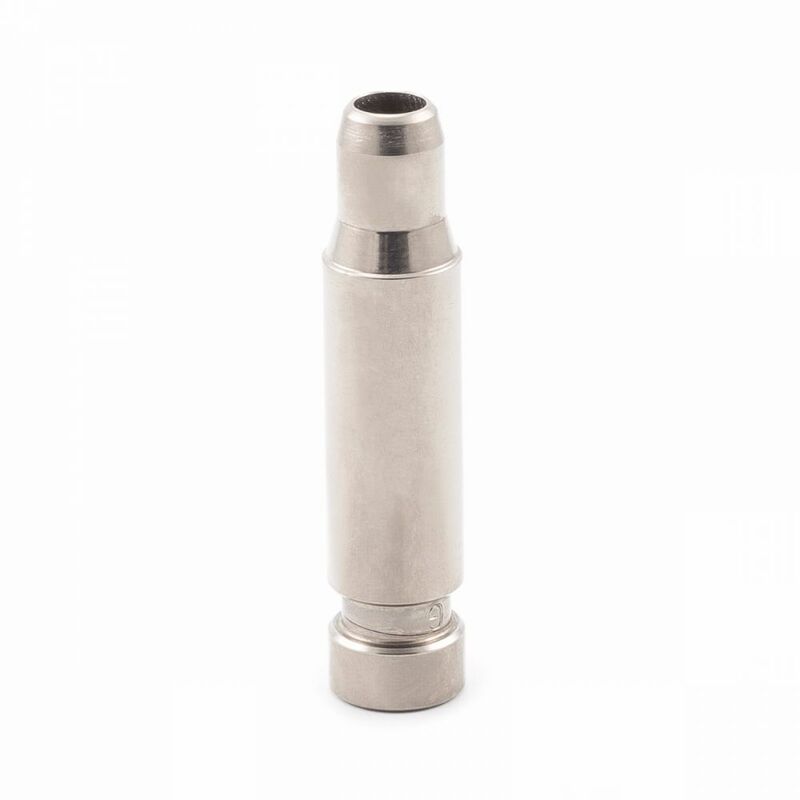 best results to date, using a .358 plug I made in an M die, bullets are PC with a powder from a Cast Boolits vendor seller, baked 450F for 25 minutes then water dropped and sized .358. Did slug bore and got .3555-.3560 so I have a .357 Lee push through die coming next week, and a hammer type bullet puller to do some measurements of seated bullets. Some called fliers in that 25 yard group....getting close to what I have gotten with Federal 115 grain fmj from Walmart. Best groups I have gotten so far have been with black hills +p defensive amm, maybe 4" at 25 yards. Not an easy gun to shoot well with the short sight radius ...working on it though .